Chapter 2. The Death of Cleopatra: Suicide by Snakebite or Poisoned by Her Enemies? 10.2 Why Enter the Realm of the Shadows? Chapter 11. Lead Poisoning and the Downfall of Rome: Reality or Myth? Philip Wexler is a Technical Information Specialist at the National Library of Medicine’s (NLM) Toxicology and Environmental Health Information Program. A recipient of the NLM Regents Award for Scholarly or Technical Achievement and the Distinguished Technical Communication Award of the Washington chapter of the Society for Technical Communication, he is team leader for the development of the ToxLearn online multi-module tutorials, a joint activity with the SOT. Mr. Wexler is also project officer for the LactMed file on drugs and lactation, and the IRIS and ITER risk assessment databases. He is federal liaison to the Toxicology Education Foundation (TEF), past Chair of SOT’s World Wide Web Advisory Team, and past President of its Ethical, Legal, and Social Issues Specialty Section. Mr. Wexler led the World Library of Toxicology project prior to its migration to the INND/Toxipedia group, and remains a federal liaison to the project. He was a member of the Education and Communications Work Group of the CDC/ATSDR’s National Conversation on Public Health and Chemical Exposure. A co-developer of the Toxicology History Room, he is co-founder and federal liaison to the Toxicology History Association. Mr. Wexler has lectured and been published widely in the U.S. and abroad on toxicology and toxicoinformatics. 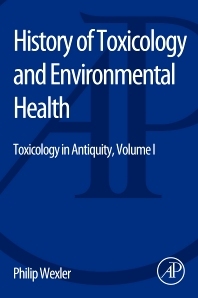 He is the Editor-in-Chief of three editions of the Encyclopedia of Toxicology (Third Edition, 2014) and four editions of Information Resources in Toxicology (Fourth edition, 2009), as well as numerous other books and articles. In 2010, he was named the recipient of the US Society of Toxicology’s Public Communications Award. 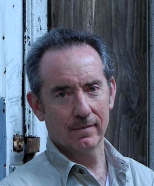 Mr. Wexler also serves as an associate editor for a toxicology journal.